This month I want to focus on Functional Medicine, which I hope may be able to offer you a little ‘food for thought’ amongst the maelstrom of New Year, New You fads, detoxes and diets that seem to bombard us all at this time of year. For a more comprehensive dive into the differences between conventional and functional medicine, please do take a look at my previous blog post What is Functional Medicine? In summary, Functional Medicine is the scientific approach to health concerns that focuses on identifying any potential root causes for each individual. Whilst many people may have the same ‘diagnosis’, they will more than likely each have a different combination of triggers or drivers underlying it. Functional medicine helps to isolate what those root causes may be, and then primarily uses targeted lifestyle modifications (specific shifts in nutrition, movement, sleep, social support and stress management strategies) to help reduce or remove them. Although not the same title, this is how I have been working since I started my nutrition practice in 2008. 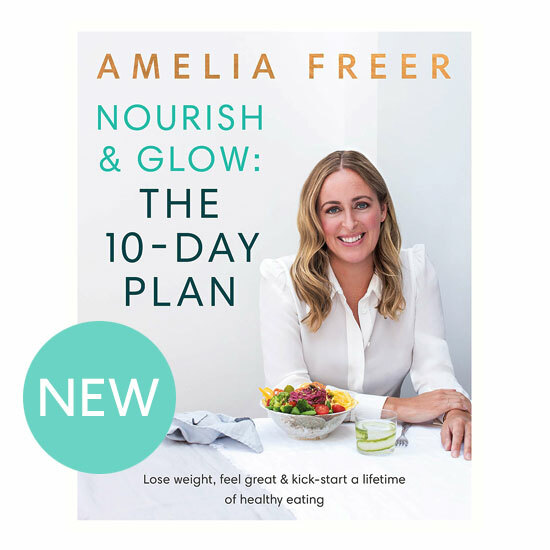 When it comes to weight management, I think this personalised approach is a more effective strategy than any ‘off the shelf’ diet plan. The identification of key drivers in appetite and weight is a critically important, yet often overlooked, part of the picture. We all have unique genetics, environmental influences, medical or nutrition histories, life stress, time pressures and so on. Given the vast complexity that this brings, a simple mantra like ‘just eat less and move more’ is not so helpful and unlikely to be successful in the long term. The functional approach to weight loss, however, is very different. Before we even begin to tackle the weight itself, we start by identifying which of these root cause influences may be having a significant effect. For example, could difficulties sleeping be driving up hunger hormones and therefore appetite during the day? Could a niggling injury be preventing regular, enjoyable exercise? Could time pressures mean that it’s difficult to cook healthy meals from scratch? Could stress be leading to an over-reliance on food for emotional support or comfort? Taken all together, these predisposing factors can eventually lead to weight change over time. But by first identifying, and then removing or reducing their impact one by one, weight can gradually come back into balance without it ever having to be the main focus. Weight loss in functional medicine can therefore be a side effect. It is not, however, a ‘quick fix’. Often, these triggers have been accruing for a number of years, or even decades. Expecting complete resolution within a few weeks is unrealistic. Sustainable weight optimisation (as we would also use the same approach to those who may need to gain weight) takes time. So if you are considering starting 2018 with a resolution to bring your weight into a healthy balance, why not begin by giving yourself permission to take it slowly? I would encourage you to give yourself the whole of the year to work on and practice these lifestyle shifts. By this time next year, not only could you be at your goal weight, but you could also have gained a number of healthy habits that will support your wellbeing long into the future as well. 2. Next, start to have a think about any aspects of your life, health or mindset that you feel may be contributing to your weight concerns. Make a list if you find it helpful. Nothing is too small – and remember, you don’t have to show it to anyone else! 3. Next, pick the easiest trigger to work on, and brainstorm various ways that you may be able to remove or reduce its impact on your eating habits. Try to break each one down into manageable steps; what could you try to change? Would you benefit from professional advice (such as booking an appointment with your GP or a physiotherapist)? What has worked for you in the past? Are there any other resources (books, websites, food delivery companies, courses etc.) that could help? 4. Give yourself a decent amount of time to work on each trigger before moving on to the next one. I would suggest a month minimum. It is always far better to take things slowly but make them last, than to rush and given up a few months down the line. 5. If you are struggling with any aspect in particular, please don’t be afraid to reach out for help. It is never a sign of weakness, but rather a sign of insight and strength.